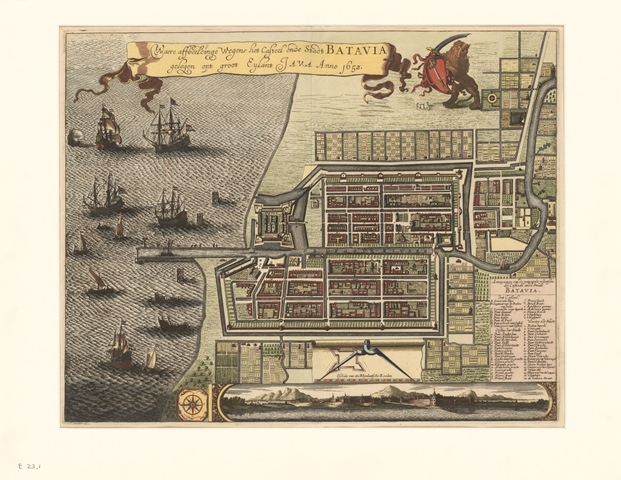 Leiden University Libraries (UBL) has started the project Maps in the Crowd. 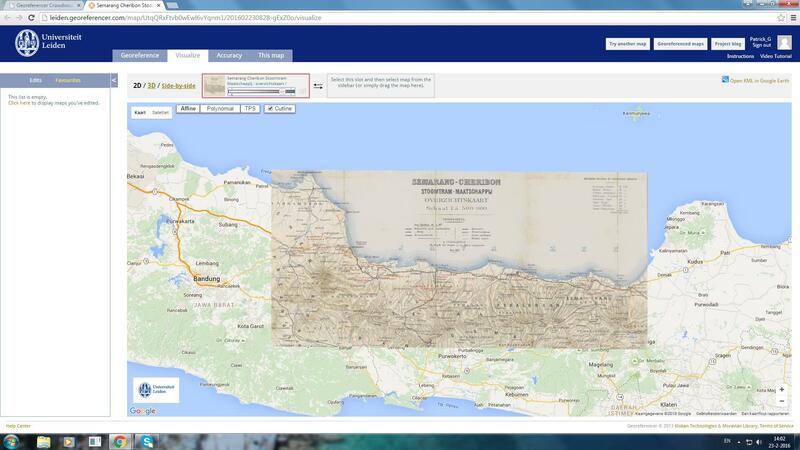 Nearly 7,000 digitized maps of the Dutch East Indies will be unlocked with help from visitors, students and others who are interested. The maps originate from the collections of the Royal Netherlands Institute of Southeast Asian and Caribbean Studies (KITLV), whose archives and library collections are managed by the UBL since 2014. The project started on the 12th of February and will continue until December 2016. With participation of the public we hope to improve the accessibility of digital map data for teaching and research. 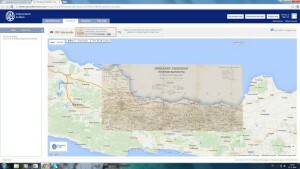 A special application has been developed to help the participants connect the digitalized historical maps, through the process of georeferencing, to a modern topographical map in Google Maps. It is quite straightforward: the historical map and its modern counterpart can be connected by designating five or more corresponding control points. The georeferenced map will then be shown as an overlay in Google Maps. Everyone who is interested is welcome to join our project. More information is available on the blog Maps in the Crowd. KITLV’s map collection includes around 16,000 map sheets and nearly 500 atlases from the 19th and 20th century. 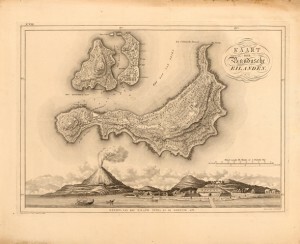 Comprising both colonial and modern material, this collection focuses on maps of modern day Indonesia, Surinam, the Netherlands Antilles and South-East Asia. The collection consists of manuscript material brought together by scientists, missionaries, soldiers, who mapped unknown territory. The collection also contains map sheets of several map series, including late 19th century residential maps from Java, topographical series from the Topographisch Bureau in Batavia, town plans, and a relatively small amount of thematic maps and atlases.